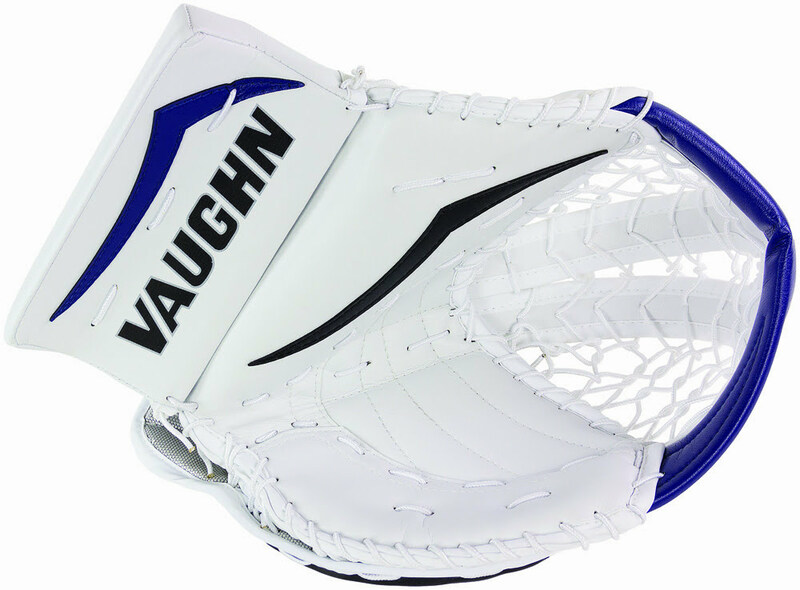 Vaughn Velocity V7 XF Pro Catcher | Sports Etc. The Velocity V7 XF Pro model catch glove is designed with a higher thumb angle optimizing the glove shape for catching rising shots. 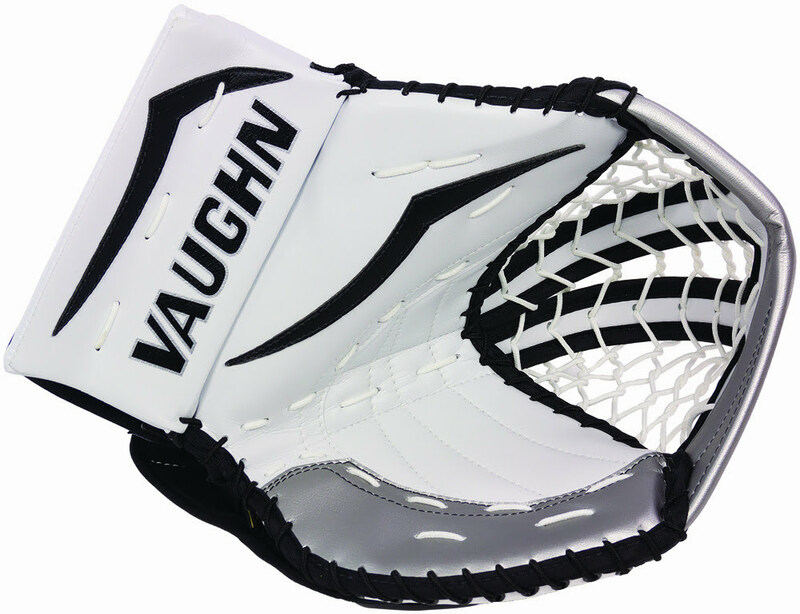 The new design provides for a larger more open hand position creating a wider pocket opening for increased net coverage. The palm is designed with a curved shape, which allows for more hand leverage to close the glove faster. The T-web is designed with an extended length deep pocket and the dual vertical bars and lace function to reduce puck spin for puck retention.